oh my god, the funk s.hits back!!! shitkatapult minimal house techer sami koivikko with the last episode of kut pulatin. 4 straight new tracks following the warm and groovy spirit of the first two parts. a1 is the series title track kut pulatin itself and it’s the original soundtrack to a sunrise in the mountains. a2 grunis is a concrete dancefloor track with cool dramatic strings in it. sunrise again on b1 with erisana but this time it’s not on a mountain it’s in the woods, hehe. and we stay in the woods for b2 asle and drown in deep melowness based on a groovy shuffle. 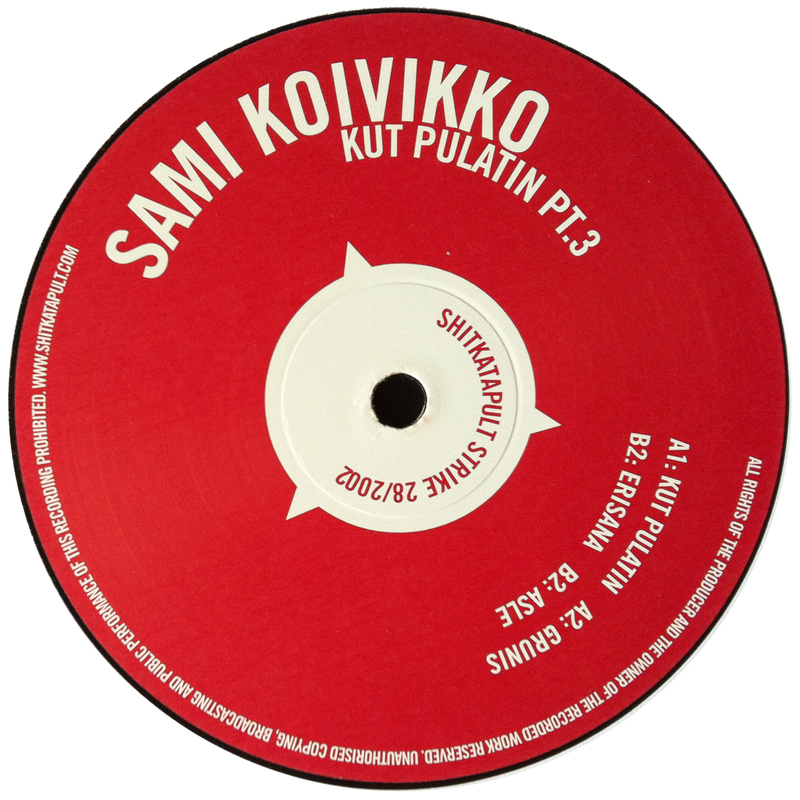 with kut pulatin pt.1-3 sami koivikko showed us the easy, fresh and funky way of minimal tech house and made his way to every dj-case. he is recently working on his album which is planned for the end of the year. stay tuned. stay funky. stay dirty.